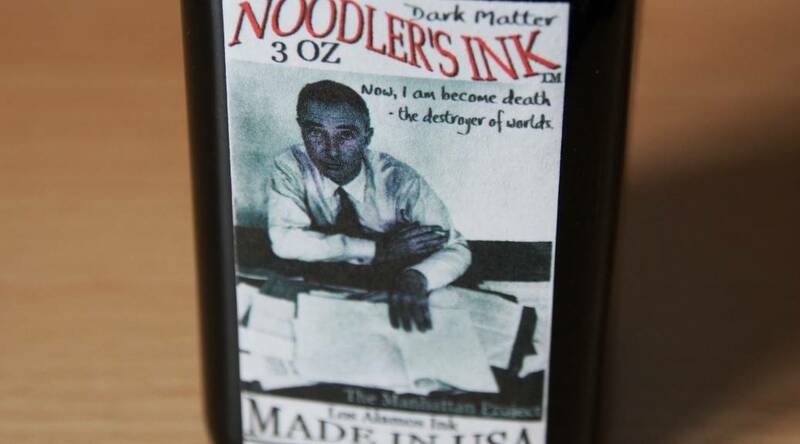 A second ink review – and another Noodler’s ink – this time it’s Dark Matter. 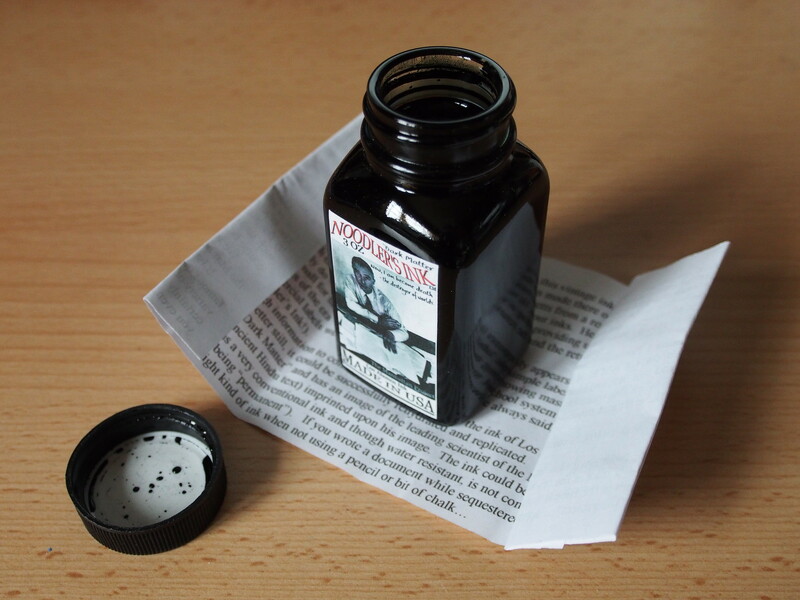 This ink has a story behind it, which is described on the Noodler’s website and on a small leaflet included with the bottle. I could not find a supplier in the UK so this was another Ebay Purchase. 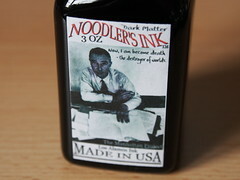 It came in the standard Noodler’s box, in a 3oz bottle, full to the brim. The label gives more than a hint at the contents. The smell is more subdued (and conventional) than many other Noodler’s inks and I could only pick it up from the bottle (not the inked pen or fresh writing). 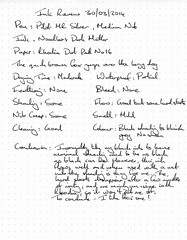 Flow was generally good with some hard start, although I’m starting to think this is going to continue to be an issue with the Rhodia paper. No feathering or bleed through to speak of. The shading is most pronounced when the flow was worst. Overall though the experience was satisfactory. Flow was good with one slightly hard start. Feathering and bleed through were acceptable. Overall a good experience. A tiny amount of feathering, writes okay over the adhesive. I would rate this as good. No surprises here. 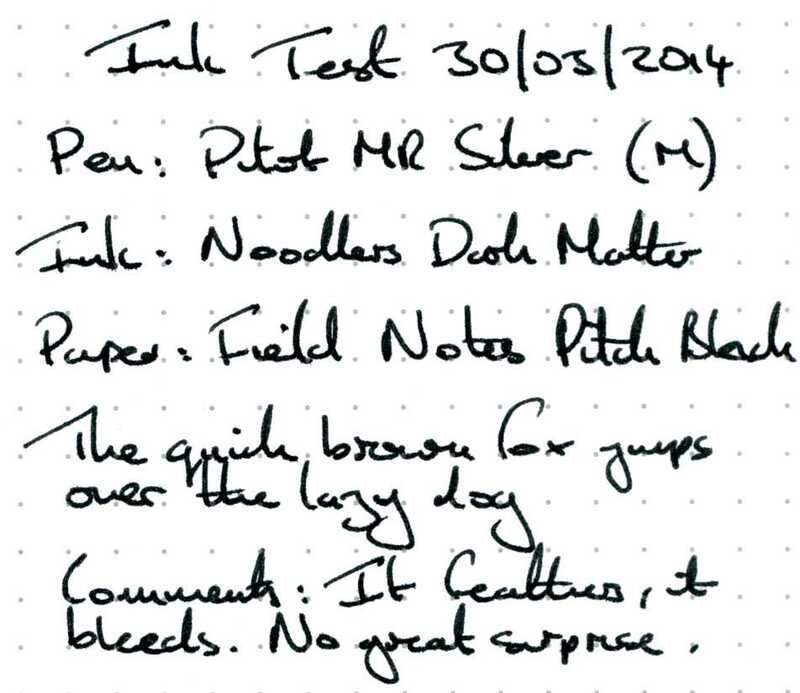 I wouldn’t use this ink with Field Notes out of choice. 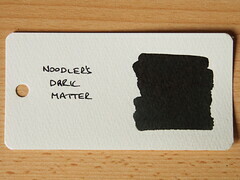 This came out darker than many samples I have tried on Word Cards, but I did try to get more ink on this time. The shading is less pronounced when compared to the writing samples (especially on Rhodia), and there does appear to be a faint greenish sheen. 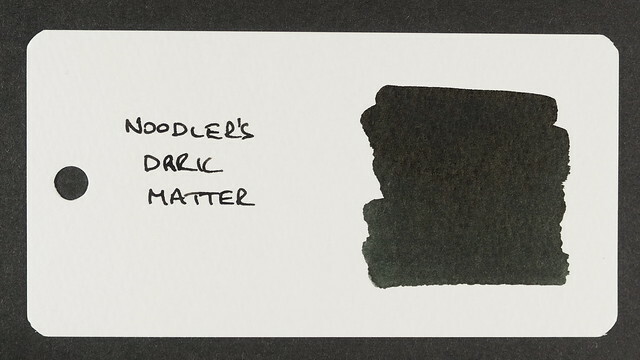 The bluish colouring also seems to tend towards the green on this paper. 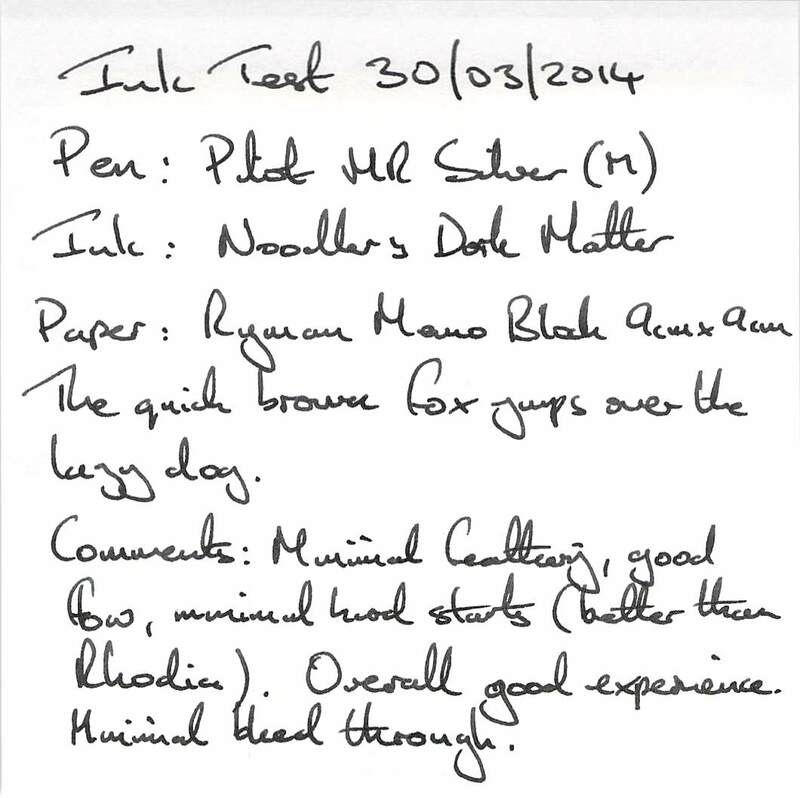 I should say that this ink is outside my normal preference. 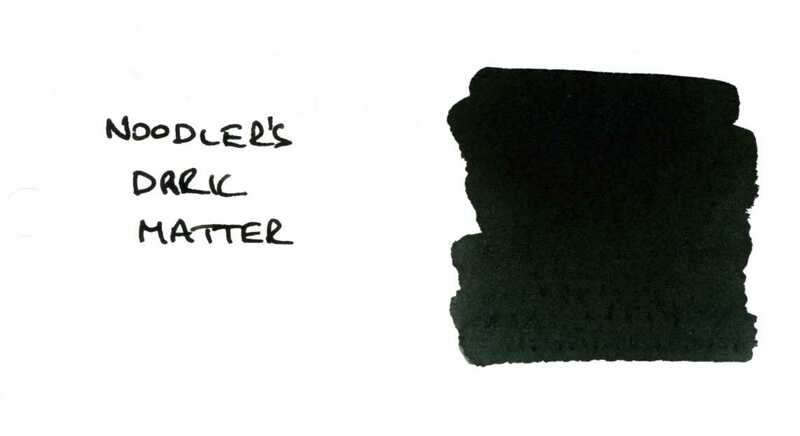 I usually like pitch black inks without any shading or colouring (although I do like some “Deep Dark” colours, but those are to be reviewed another time). 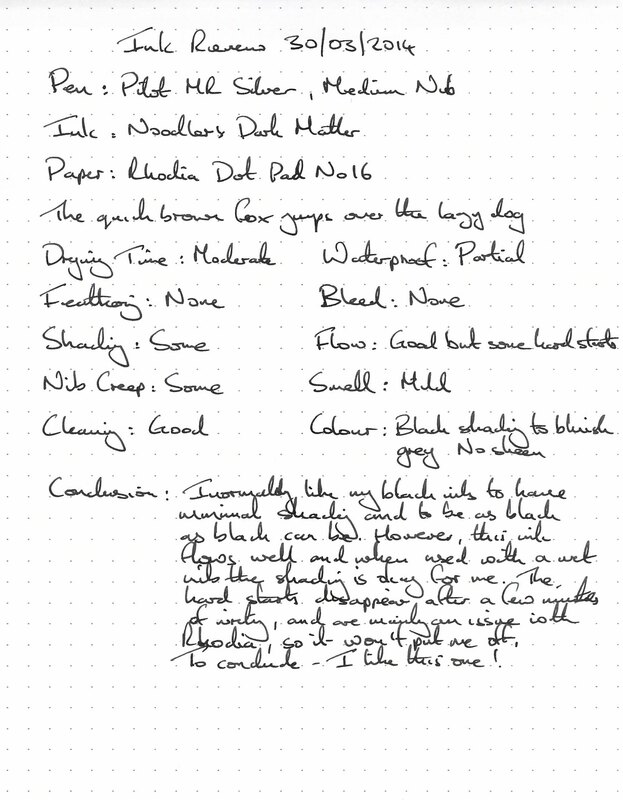 Despite that, ever since receiving the ink it has stayed in my “tester” pen (crowding out pens inks that I have received since), until it could be promoted to the black pen I use at work at the moment. 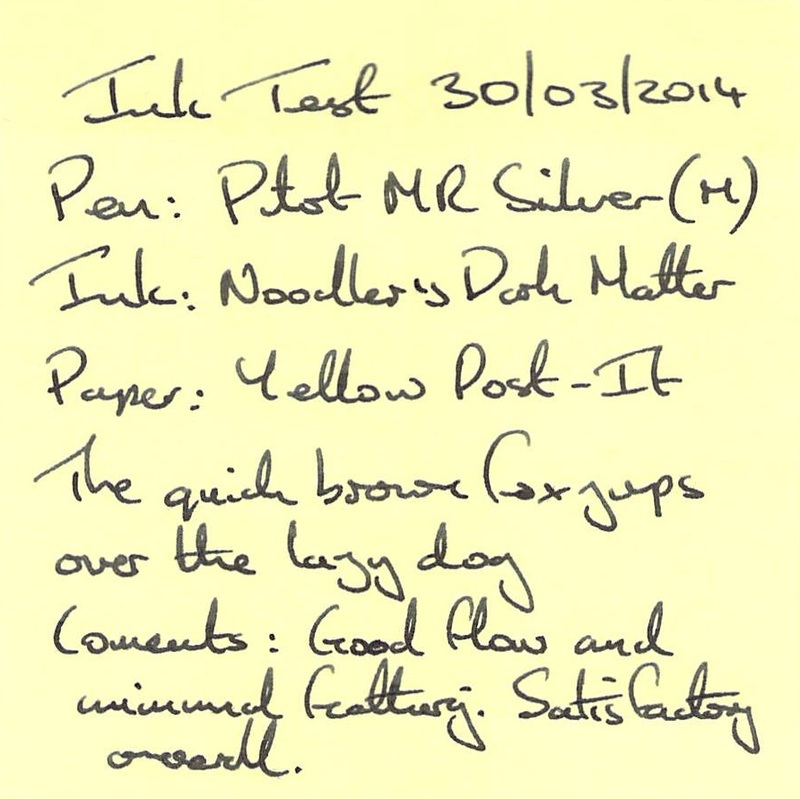 It’s a testament to how this ink just works for me, and I am likely to keep it in regular use.